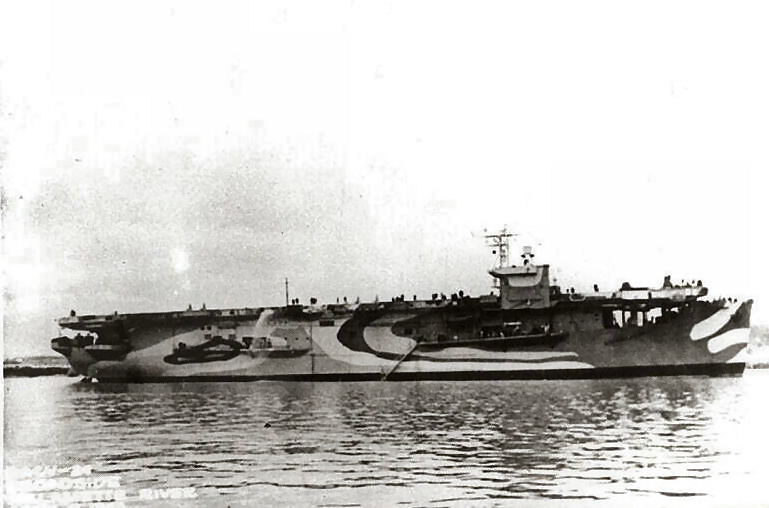 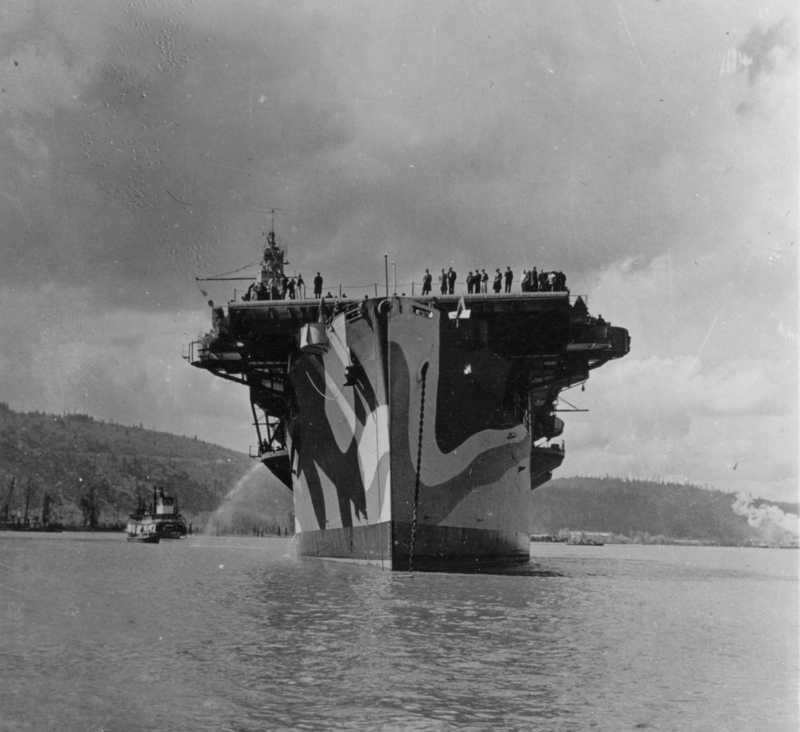 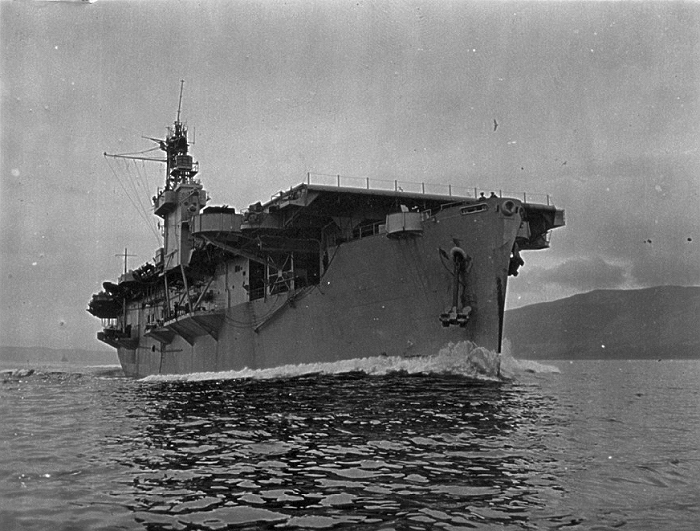 ‡ April 9th 1943 - HMS Ravager on her builders trials in the Willamette River, Oregon . 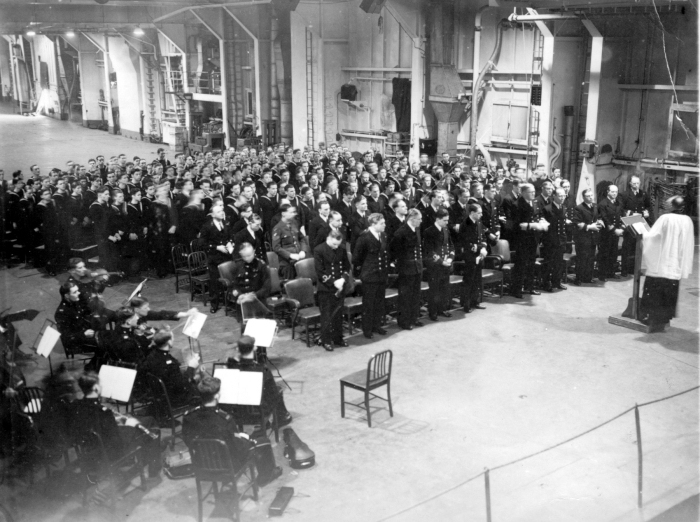 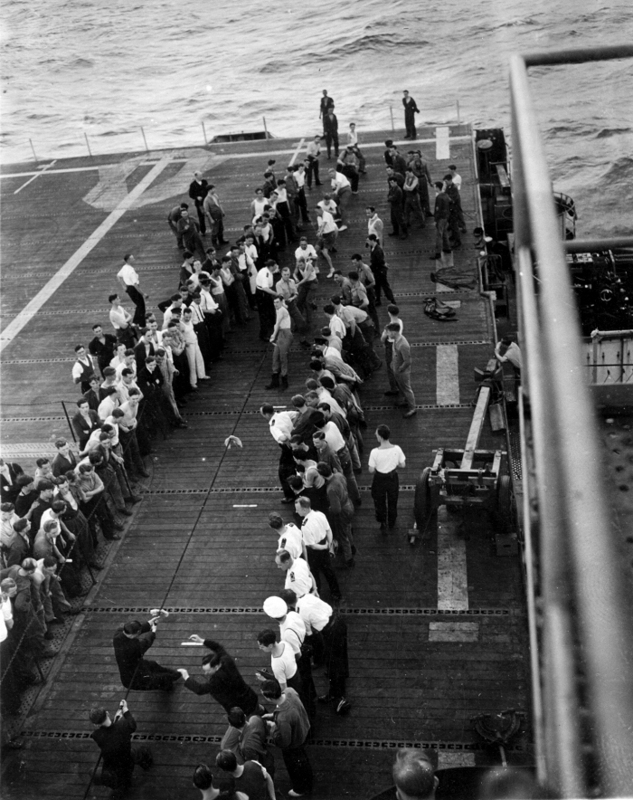 Representatives from the Commercial Iron Works and the ship's company are on the flight deck. 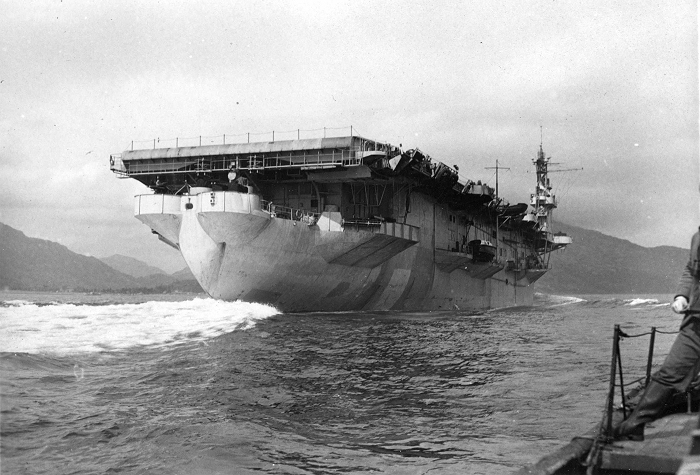 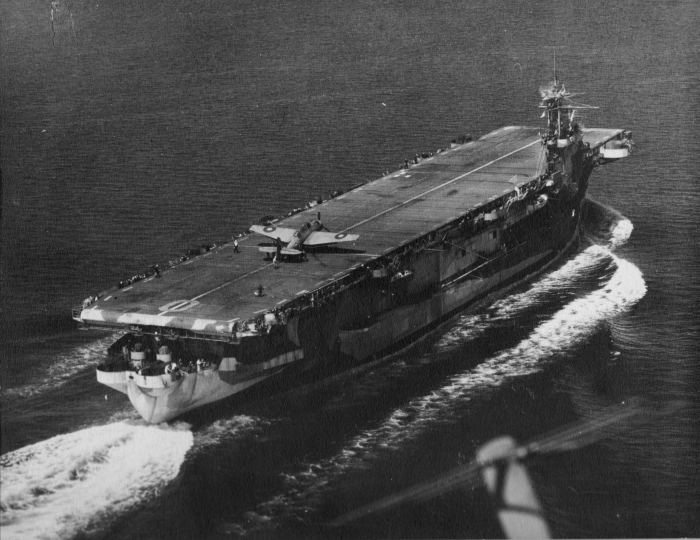 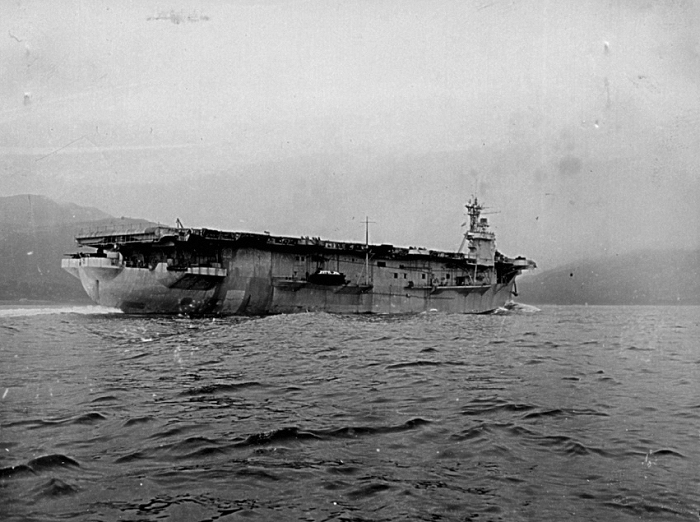 HMS Ravagers primary role was to operate as a Deck Landing Training carrier, providing a deck for a variety of training squadrons off the Scottish coast. 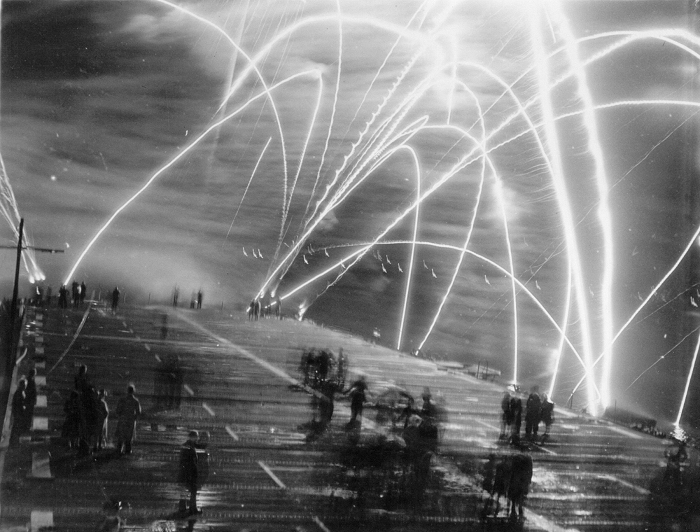 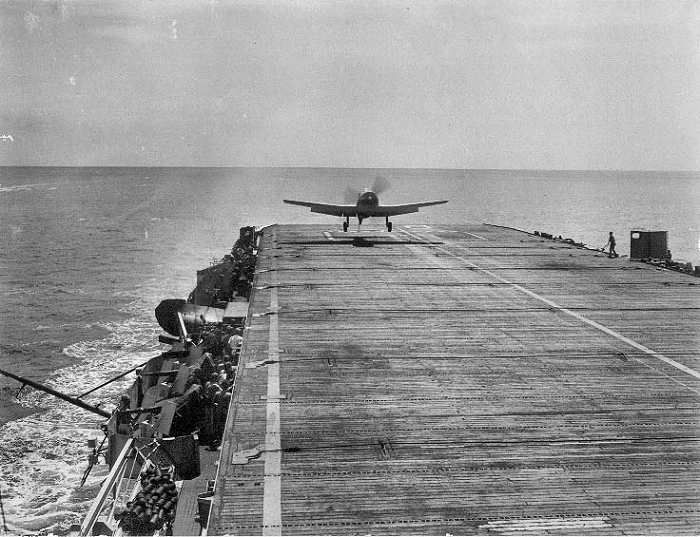 Training included visits from individual aircraft and short detachments for more intensive training periods. 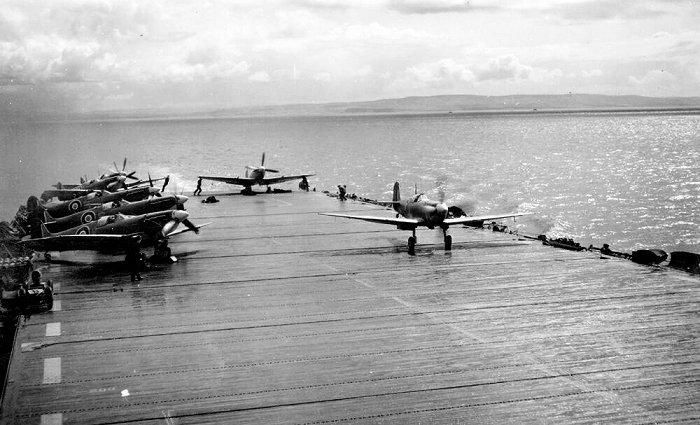 Aircraft types operated included Avenger, Barracuda, Corsair, Firefly, Fulmar, Hellcat, Sea Hurricane, Seafire, Spitfire, Swordfish and Wildcat. 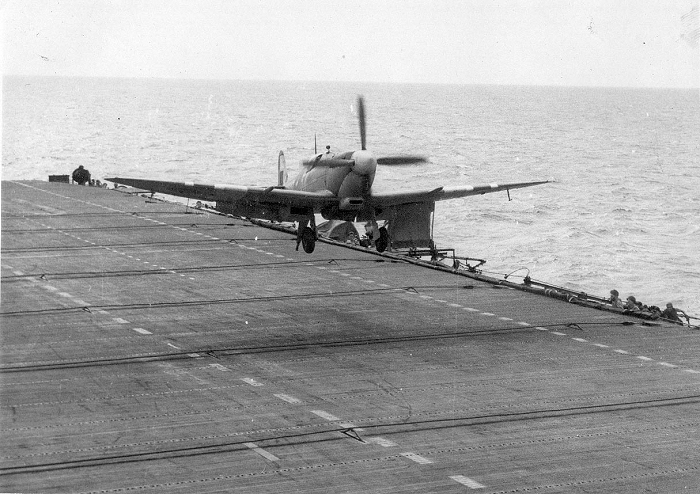 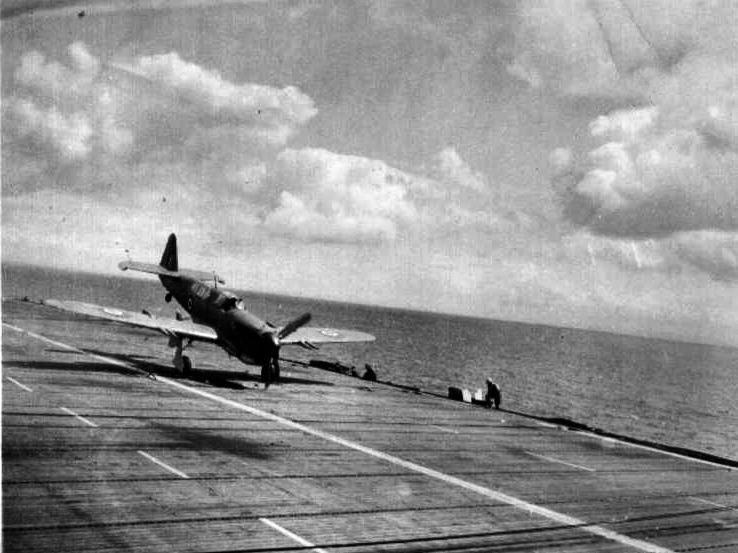 ‡ A mix of hooked Spitfire Vbs and Seafire LIIIs ranged on Ravager's flight deck as flying operations get under way. 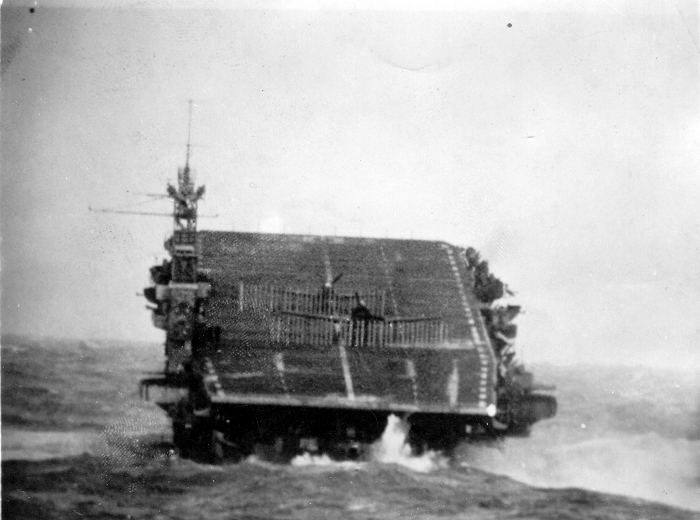 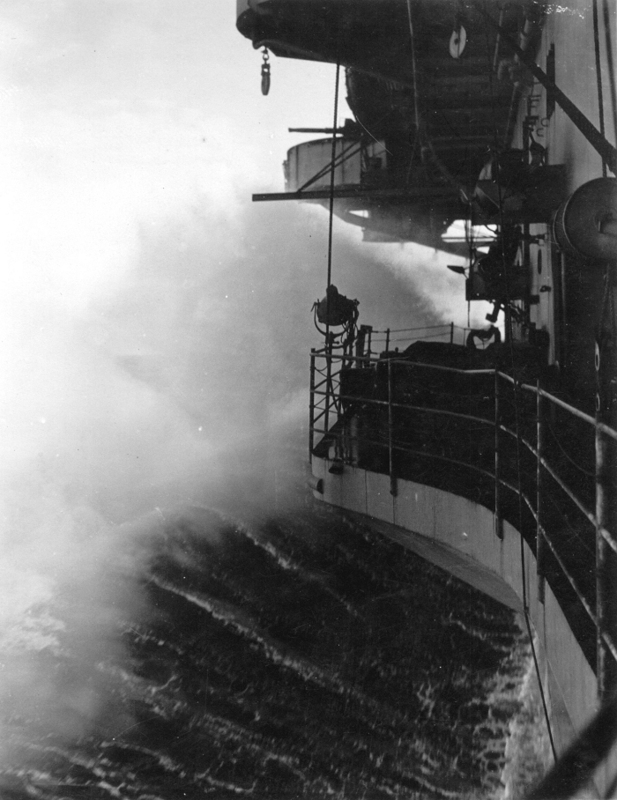 The first to launch is already nearly half way down the deck with a second running up its engine on the aft end. 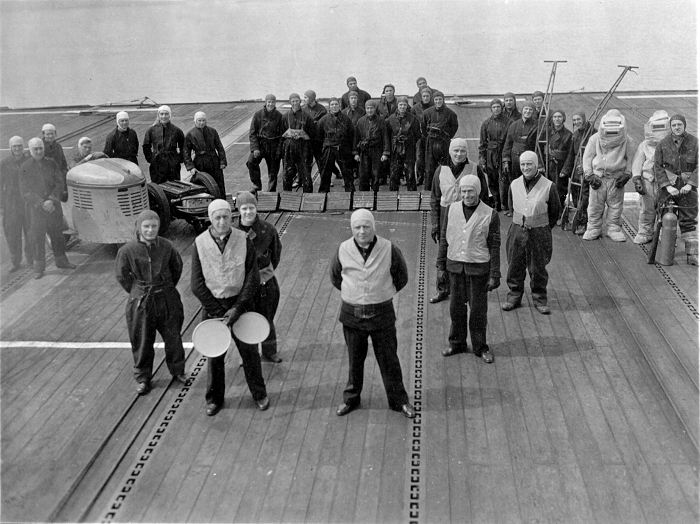 ‡ The air department flight deck personnel: In front are the DLCO (Deck Landing Control Officer) known as 'Bata' and his team, behind them are the aircraft movements party, from the far left these are flight deck tractor, aircraft starter trolley, centre handlers and their chocks, far right manual aircraft starring arms for manhandling aircraft on the deck, and the crash and fire crew with their extinguishers and asbestos suits. 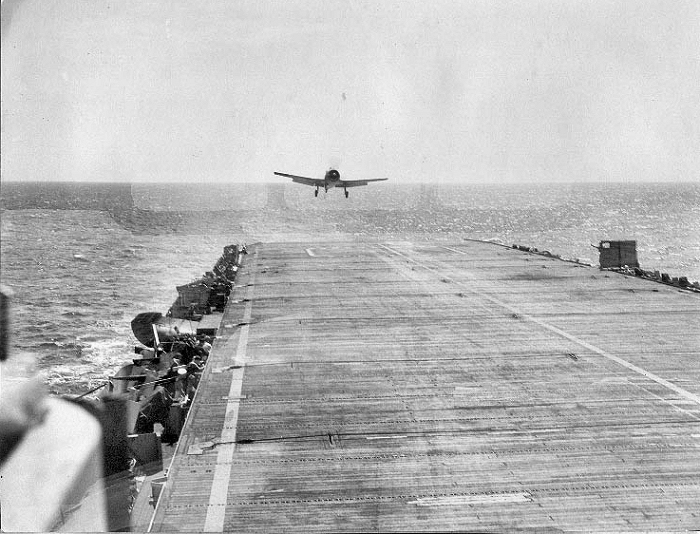 The four images below show a Hellcat coming in to land on Ravager, the DLCO is signalling the pilot from behind the screen near the aft of the flight deck. 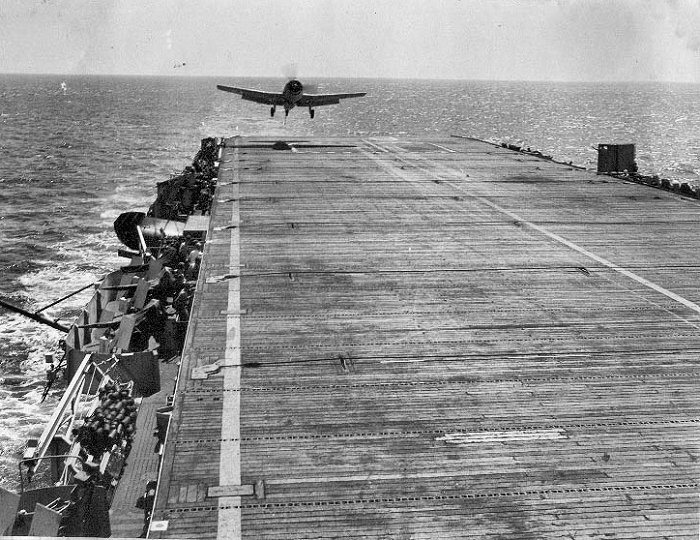 He uses his bats or paddles to signal (you can see his arm sticking out in the first two shots) and only emerges once the aircraft is about to touch down, Notice how the aircraft drifts to starboard as it nears the deck after passing over the round-down and then corrects itself before touch down. 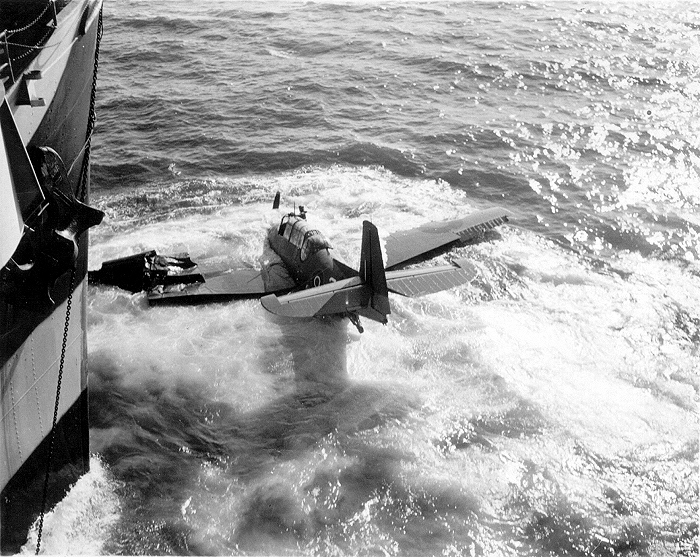 Although this pilot caught an arrestor wire cable has snapped and the aircraft has lurched to starboard and will eventually end up in the barriers. 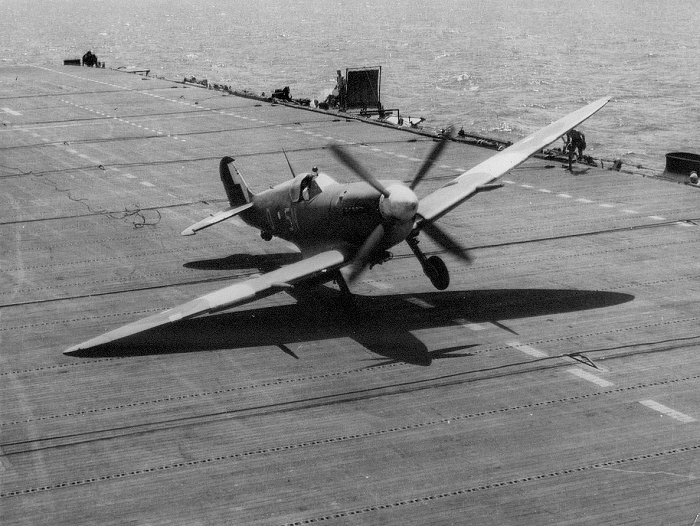 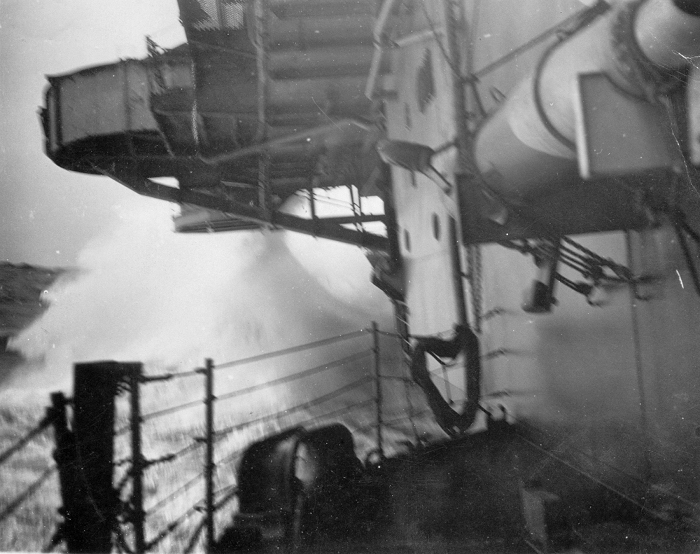 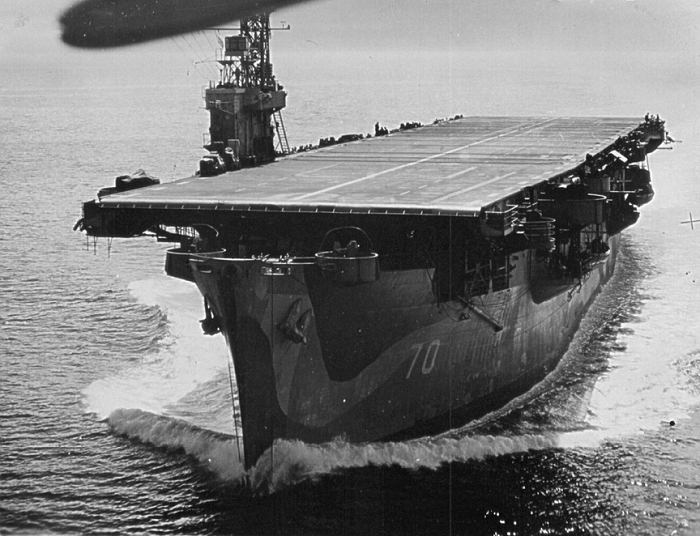 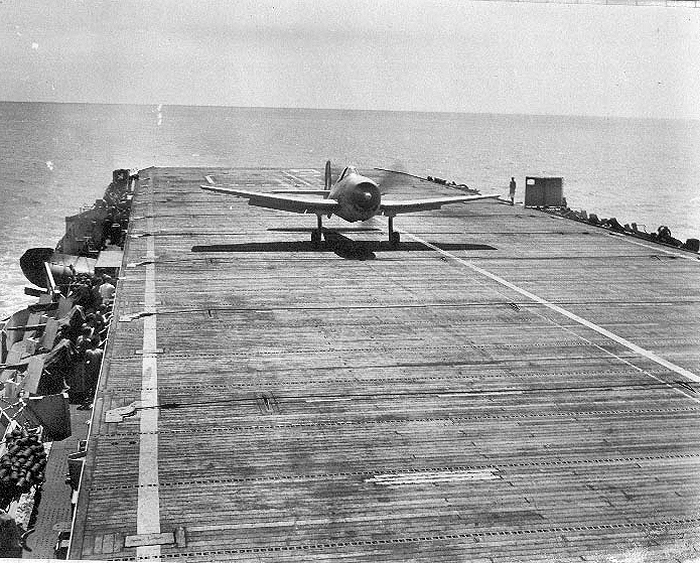 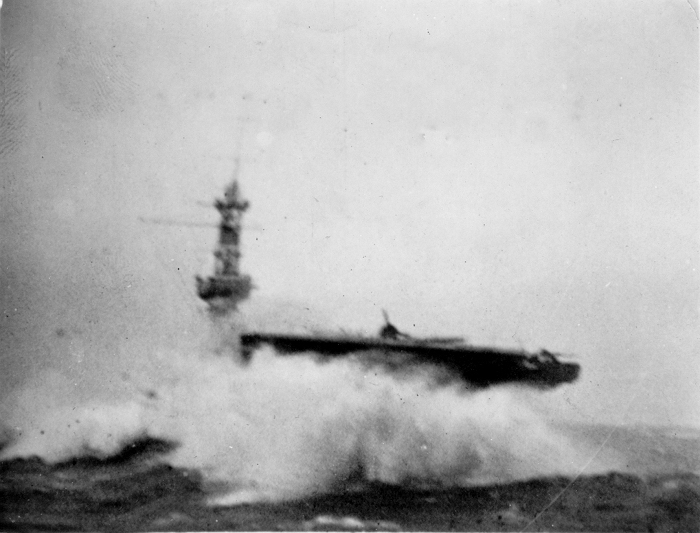 A firefly 'pecks' the deck - over doing the brakes results in the nose pitching down and the propeller striking the deck. 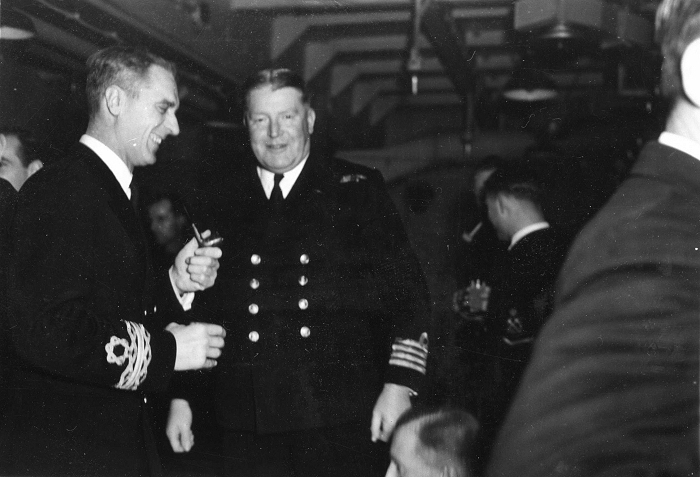 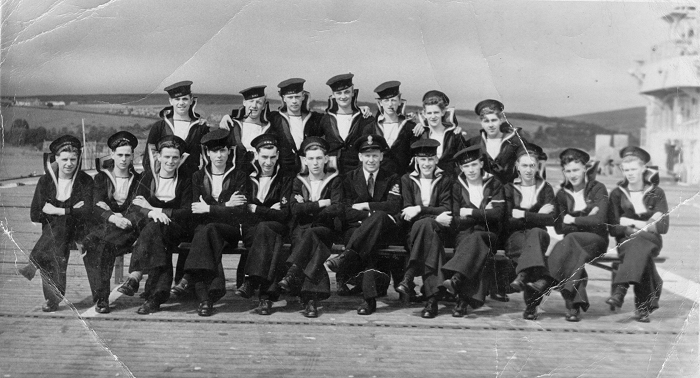 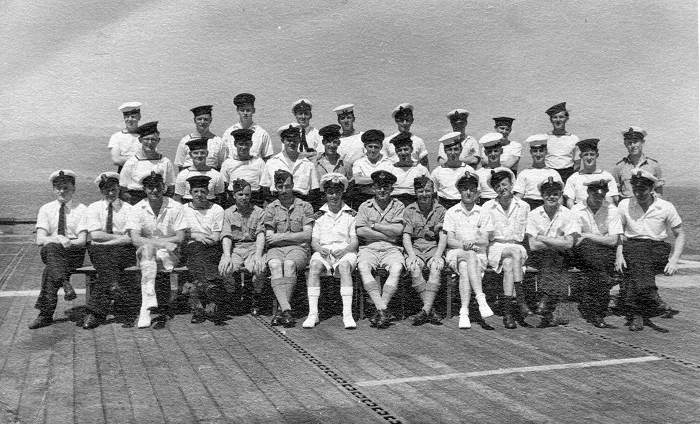 Image marked ῼ are from the private collection of Mr. RJB Kenna; Ray's late father Lt(E) CJ Kenna RNR served as an Engineer on H.M.S. 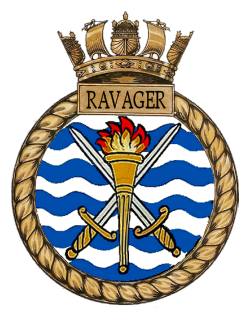 Ravager he also served on H.M. 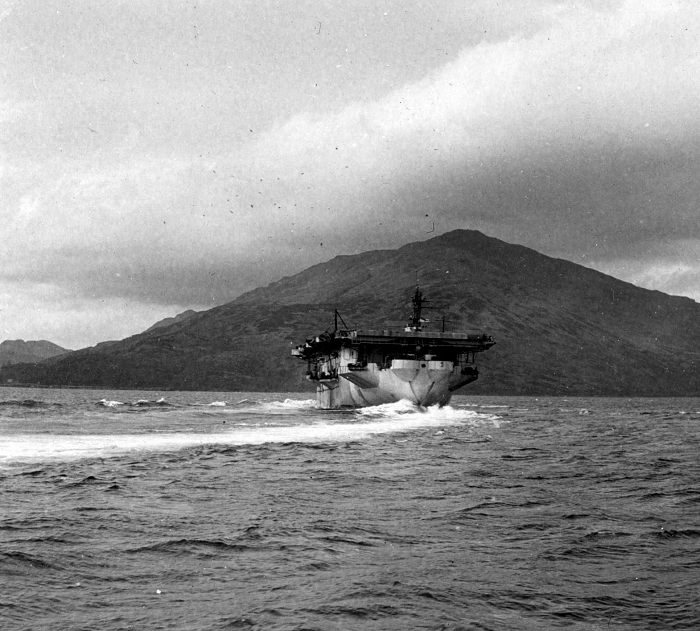 Ships 'Thane' and 'Tracker'.